Boeing has announced plans for a hypersonic passenger aircraft which could take people from London to New York in just two hours. The jet was unveiled by the US aviation firm and would have a ‘potential top speed of more than 3,800mph’, which is close to five times the speed of sound. It would break the current record which stands at two hours and 52 minutes. Unfortunately, there’ll be quite a bit of a wait before we see such a flight. Boeing is hoping to see the aircraft in service by the ‘late 2030s at the earliest’ – and they have estimated the project could take up to ten years longer than predicted. The exciting plans would overtake the two hours and 52 minutes record which is currently held by Concorde. Concorde was a British-French turbojet-powered supersonic passenger airliner which operated from 1976 until 2003. It had a maximum speed over twice the speed of sound at Mach 2.04 (1,354 mph or 2,180 km/h at cruise altitude), with seating for 92 to 128 passengers. 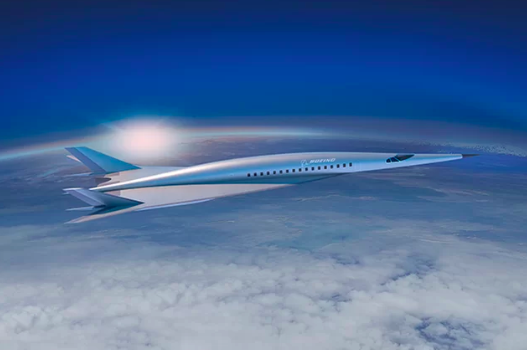 Last year, a firm in America promised to bring back supersonic air-flight with fares ‘about the same price as today’s business class tickets’. Denver-based Boom says London to New York flights will set you back £2,000 one-way and take 3 hours 15 minutes, decreasing the current time, writes the Independent. Their plane would be, for measure, 100mph faster than Concorde. Boom is building an aircraft called XB-1 which they said is ‘under construction’.